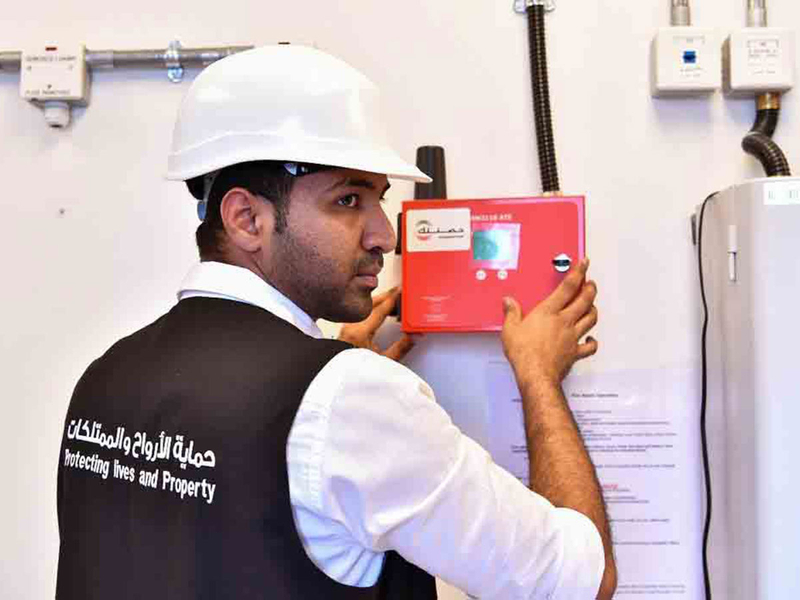 Abu Dhabi: Hassantuk, the centralised smart fire alarm system introduced in buildings and villas by the Ministry of Interior aims to make the UAE one of the safest countries in the world by 2021. Hassantuk enables civil defence to deploy the right personnel and equipment in the right place, thereby drastically reducing average emergency response time. It uses state-of-the-art Alarm Transmission Equipment (ATE) connected to a building’s fire safety systems ensuring that any emergency or building maintenance alarms are transmitted to the central Alarm Receiving Centre (ARC) within milliseconds. 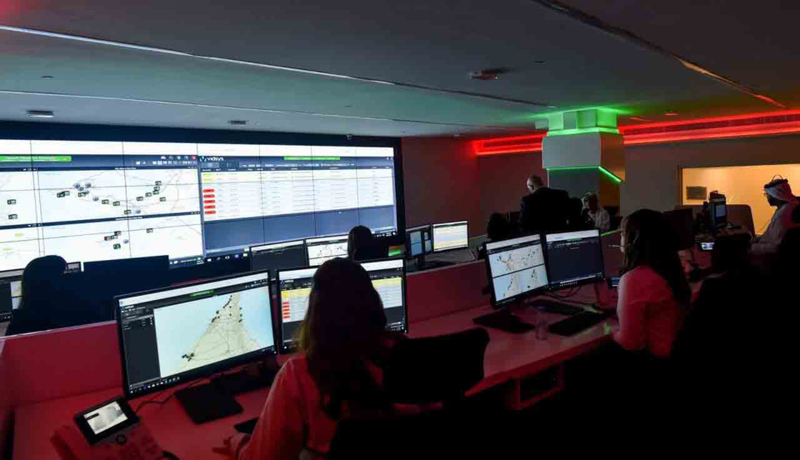 The ARC uses artificial intelligence to sort and classify reports and determine in a matter of seconds whether or not civil defence intervention is required. In villas, the fully automated system detects smoke, heat or fire round-the-clock and does not require WiFi. It works via sensors on radio frequency. Any hazard, including disruption in elctricity, triggers an alarm to occupants and civil defence. Hassantuk runs two projects — Hassantuk for Homes and Hassantuk for Buildings. The ministry is working to connect more than 500,000 buildings and villas to the system by 2021. Cost of linking a 4-BHK villa. This includes installation charges, two years’ monitoring and maintenance by civil defence. In October last year, the ministry signed a partnership with Injazat Data Systems to link over 150,000 existing buildings. In October this year, the ministry officially launched the project in villas in partnership with etisalat. Hassantuk aims to connect existing and upcoming buildings and facilities round-the-clock to ensure the highest levels of maintenance and safety and protect life and property. Subscription to Hassantuk is mandated by Cabinet Resolution No (24) of 2012 and Ministerial Resolution 505 of 2012. Every building owner is responsible for payment of installation and fixed annual subscription fees. The cost of linking buildings and towers varies as per the storeys and requirements (see graphic). Linking a four-bedroom villa to the system costs approximately Dh5,814, with the price including installation charges and two years’ monitoring and maintenance. residential and commercial buildings in the UAE will be linked to Hassantuk by 2021. The first buildings have been connected to Hassantuk this year, with all installations to be completed by 2023. Hassantuk (‘protect you’ in Arabic) is a cutting-edge villa and building safety solution that optimises fire and emergency responses through a smart alarm system. ■ In case of fire, the system first raises alarms to allow occupants to evacuate. ■ It then automatically sends an alarm to the Alarm Receiving Centre where operators will verify if an alarm is genuine or false in less than 120 seconds. 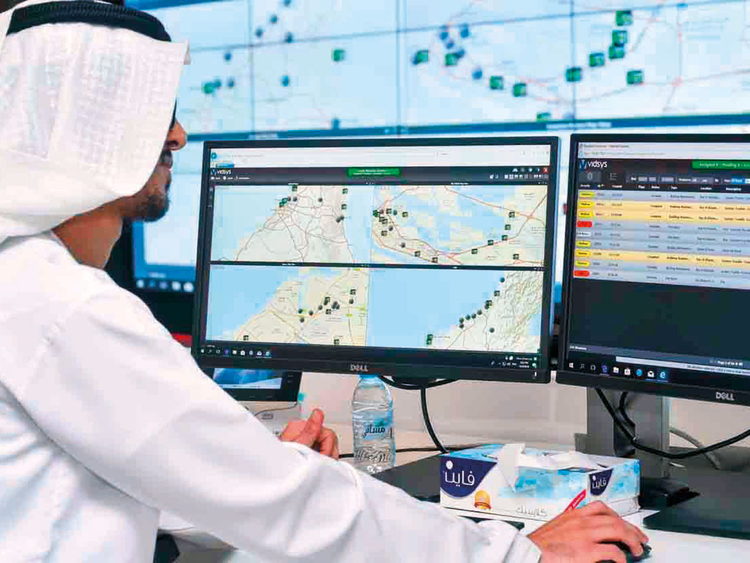 ■ Finally, it automatically informs emergency services control rooms and nearest civil defence centres to dispatch urgent assistance to the scene. It then maps the exact location of the fire and the fastest route to reach it. Residential villas, warehouses, hotels, residential blocks and towers, commercial properties, educational institutions, shopping malls, retail outlets, offices, banks, medical centres, industrial premises and government entities.